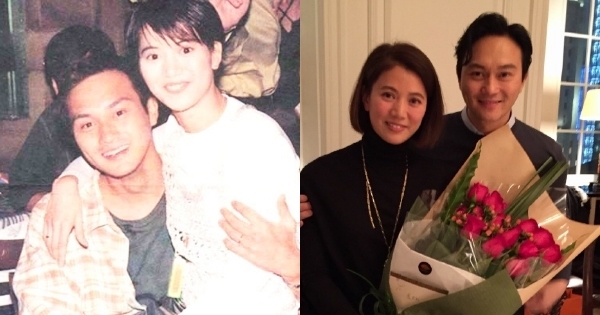 Together for 27 years, Chilam Cheung (張智霖) and Anita Yuen (袁詠儀) are what people like to call an “old married couple.” Date nights consist doing quick grocery runs, hanging out with friends, or planning for their son’s next big field trip. Chilam and Anita were never known to be the affectionate, romantic type, but what bonds them together transcends beyond romance and passion. In the new season of the Chinese variety series Viva La Romance <妻子的浪漫旅行>, which follows a group of celebrity wives going on an overseas vacation without their husbands, Anita shared with the cast and her viewers that this trip was actually her first overseas trip without Chilam. I’m confused why she’s considering this is her first trip without Julian. Since this is still work related and she did mentioned on ep2 she goes to trip with her girlfriends all the time… unless he tags along then wouldn’t that not consider girls trip??? Amazing that so many celebrity couples are willing broadcast their children and the emotional/intimate interaction for big money. When will there be reality series on bedroom activity of celebrity couples? Just tune in to the Kartrashians if you want to see intimate activities. Those are fake tears, but very good acting though. I think she is afraid someone will try to steal or have affairs with her husband since she did it in the past with someone’s else husband. She has spies to watch over her husband according to this article. She is one insecure woman. She was a homewrecker and now she is afraid karma will come back and bite her behind. Remember Anita was involved with a married man in the past and the only reason she was with her ex lover was because he took care of her in term of materialistic things. She even admitted to it. Here is the article of her admission. Making a husband feel guilty is a great way to stop them from cheating. Many do it including our own partners. Is it why Anita and Christine Ng are such great friends? materialistic when young but I think they have learnt from it once they had enough money. It’s still learning right? @jimmyszeto My point is that she is an insecure woman. 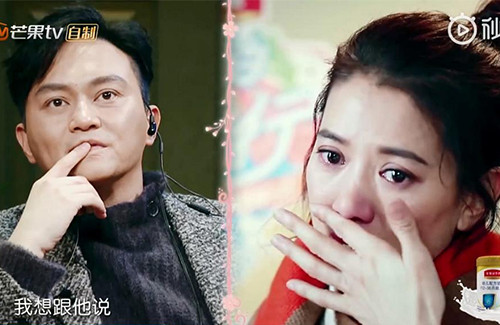 I don’t think her marriage will last if she needs SPIES to keep chilam in line. Also, nothing wrong for being materialistic in life, it’s how you get it. But for her, she ruined someone’s else marriage in order to achieve that is morally bankrupt in my book. I truly believe she is afraid of Karma and that someone will try to steal her man. She is not getting any younger and her biologically clock is ticking. I will definitely not feel sorry for her if indeed chilam dumps her for another woman one day. She had it coming. Anita Yuen is a drama queen. Use tears to make Julian feel guilty and protective towards her. Use threats to control her son! Yet she has not shown any gentleness towards her husband. She is like a hawk guarding her husband to make sure he has no opportunity to come scross a nice woman to threaten her podition as Julian’s wife. She comes across as being entitled to behave like a tiger husband and tiger mum. I take my hat off to Julian….what does he see in this woman who does not give him face in public (as evidenced in her interaction with Julian in the Viva la romance ‘test’) It was obvious that there were no connection emotionally between them. Julian struggled to coax Anita to say ‘I love you’! C’mon isn’t it obvious? I’ve always wondered why Julian is with Anita. I’ve always felt that he can do so much better. hahha lol….I always thought so. Some sort of mythical spell. lol….But then that’s life. You see great people end up w/s***** ppl and vise versa. haha lol…. I think I just don’t have respect for women who always are obviously the homewreakers/mistresses’ who openly admitted and they think there was nothing wrong w/their actions. Same like Michelle Reis. I think both of them are like that openly admitted in an interview that they were are in love and there was nothing wrong with whatever they did w/the guy as they were a NORMAL couple. I think for women who admitted that ‘ohhh I didn’t know he was married at the time but I do regret it now thinking back’ if they had said that I think those are a bit remorseful and there’s still hope for them yet but this AY pretty much telling ppl I know the dude was married but we were dating so I didn’t think I was kept or anything???? So selfish and irresponsible. Shameless!!! !